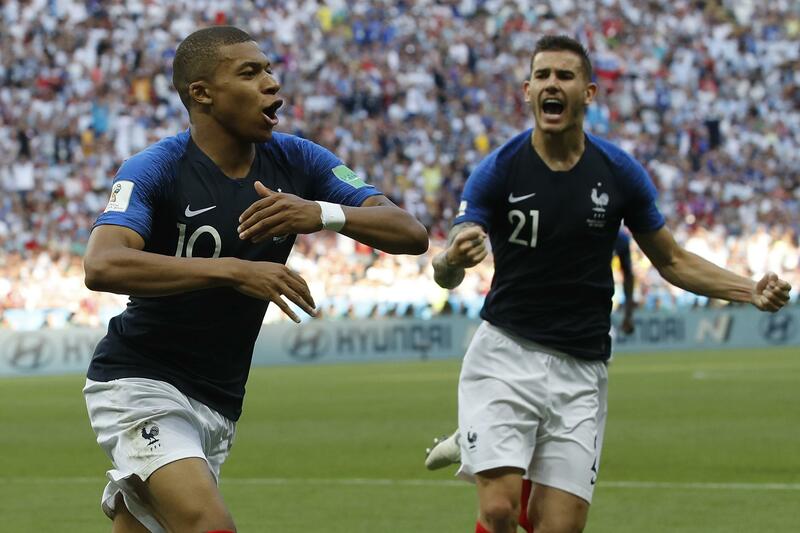 KAZAN, Russia – What Lionel Messi has never done, 19-year-old Kylian Mbappe did twice. He became the second teenager to score multiple goals in a knockout match at the World Cup. Pele was the other, doing it twice at 17 at the 1958 World Cup. France, which has reached the quarterfinals at consecutive World Cups for the first time, will next face either Portugal or Uruguay on Friday in Nizhny Novgorod. Blaise Matuidi will miss the match after receiving a second yellow card of the tournament. Published: June 30, 2018, 9:24 a.m. Updated: June 30, 2018, 5:29 p.m.